OAD products are delivered with all of the required data sets to facilitate sonar performance prediction on a Global basis. Some of these data sets can be augmented with the users’ own data for specific situations. The embedded data is obtained from established and reputable 3rd party organisations and then processed and enhanced by OAD for use by WADER and HARCAM. Notes: The source data was processed by OAD to produce a set of simple charts. These charts can be used to prepare briefing notes and also provide sea state data for the propagation loss models. We are rather proud of the Range to First Convergence Zone (CZ) charts which show where CZ conditions can be found and what the expected ranges will be. 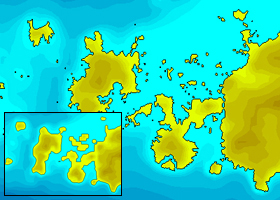 The charts are constructed using water column and bathymetry data together with the HODGSON propagation loss model (chart example: January). Notes: OAD spatially enhances the data to ensure that all profiles extend to the seabed and all grid squares are supplied with a profile. 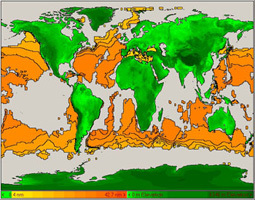 Both 1 and 0.25 degree datasets are provided for reference. Both 1 & 1/4 degree data available for areas with space data coverage at high resolution. 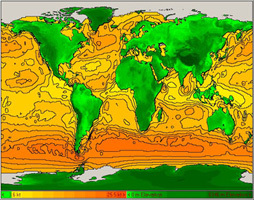 This climatological data is supported by Expendable Bathythermograph (XBT) from the WOA. The WOA provides approximately 500,000, measured XBT taken at random times and with random distribution. Notes: OAD endeavour to supply the highest quality data available. This was DBDB5 (5 min resolution) when the system was produced in 1991 (issued on 28 floppy discs). We have since progressed through ETOPO5, DBDBV and ETOPO2, all of which provided increased spatial resolution. Notes: Standard WADER charts are drawn using bathymetry data. This is suitable for the open ocean but provides limited coastline definition when ‘zoomed in’ (especially around island areas). 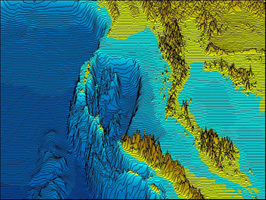 WVS data provides an effective way of drawing high definition coastlines. Notes: HFEVA is used in its original format for higher frequencies. The same dataset has been transposed using recognised algorithms by OAD to provide data suitable for mid- and low frequencies. 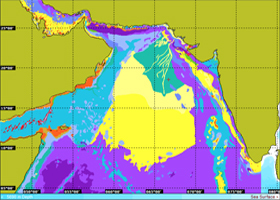 The data is available to view graphically (as chart overlays and as seabed reflection loss curves) and used by the program for calculations. 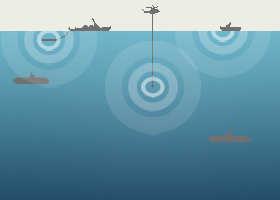 Notes: The majority of military sonar parameters are classified. 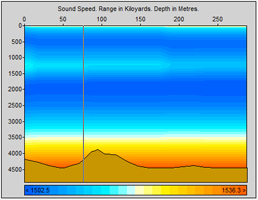 Therefore OAD has created a set of Sonar Parameters for Unclassified Training (SPUTs) which are designed to emulate the behaviour of real sonars for training and planning purposes. For operational use, WADER will require the actual parameters of any relevant sonars to be uploaded by the user.